Zack Snyder directs Henry Cavill, Ben Affleck, Amy Adams, Gal Gadot and Jesse Eisenberg in Batman v Superman: Dawn of Justice the DC-Warner tent pole which sets up the Justice League. I haven’t been shy of my dislike of Zack Snyder as a director and with the multitude of bad reviews I didn’t have great expectations going in. We are given a quick flashback into Bruce Wayne’s past. And a quick second into the funeral of Bruce’s parents Snyder commits hara-kiri that will have fanboys frothing at the mouth. Bruce is swarmed by the bats as he falls into a hole in the ground and the bats seemingly lift him up and that is how he assumes the identity of Batman. Ben Afflect is the middle aged Batman based on Frank Miller’s Dark Knight and he is a weary, tired middle-aged Bat very different from the Batman played by Christian Bale in Christopher Nolan’s trilogy. Affleck is quickly thrust into the destruction of Metropolis as General Zod and Superman engage in a death match. All through the movie that is something off about the scale of things, Metropolis and Gotham towers over everything and dwarfs both Superman and Batman. Even the car Ben Affleck is driving through metropolis seems to be mis-proportioned – it seems too small compared to the surroundings. I don’t know if other viewers experienced this but it just made the “Heroes” look puny. Superman is deified as a god after he saved Earth from General Zod and his alien army. When he is not saving children from burning building or stranded women from tops of flooded towns Superman spends his time rescuing his girlfriend Lois Lane, either while she is being held hostage in the African Desert or while she is pushed from atop LexCorp. The film’s villainous mastermind is played by Jesse Eisenberg. Reprising his Mark Zuckerberg performance Eisenberg plays Lex Luthor, an evil genius with enormous wealth at his disposal. His sociopathic behaviour verges on psychotic. He pits Batman against Superman but like General Zod in Man of Steel here too his motivation is unresolved and his hatred of both the superheroes seems misplaced. He also tries to convince the senate to give him permission to bring the Kryptonite found in the indian ocean into the US so that he can weaponize it. Snyder, Chris Terrio and David S Goyer seem to be juggling too many balls with the story telling and each of them more unresolved than the other. In anticipation of the forthcoming Justice League movie we are introduced to The Flash, Aquaman and Wonder Woman. The latter plays a bigger part in the movie than Lois Lane does. There are many flaws in this movie and they primarily concern Snyder’s lack of ability as a director. He makes poor choices both story wise and visually. Story wise there is no coherent reason for Batman to so pissed with Superman. The Superman’s misplaced sense of justice when he accuses Batman of abuse of power is akin to a pot calling a kettle black. The DC warner universe setup the batman character nicely at the end of Nolan’s trilogy. There were a few canons set which seem to not matter to Snyder. The Nolan Batman specifically said “No Guns” but Snyder’s batman is more violent than the criminals he seems to be rounding up. Basing this on Miller’s dark knight where batman comes out of retirement more brutal and more unstable there seems to be no explanation given to the retirement part. Also Jeremy Irons as Alfred is a hard sell. He seems to be Alfred and Lucius Fox both rolled into one and I prefer the grandfatherly Michael Caine over Irons. Visually Snyder focuses on the wrong points of interest. He is more keen on product placement than a coherent story telling. How else would you explain the Olay Shampoo bottle that gets a zoom in when Lois is taking a bath after being rescued from the African ambush? Eisenberg’s whiney lunatic approach to playing Lex Luthor is a poor decision from both the actor and the director. All his manipulations of events that bring Batman and Superman face to face seem a bit too farfetched. 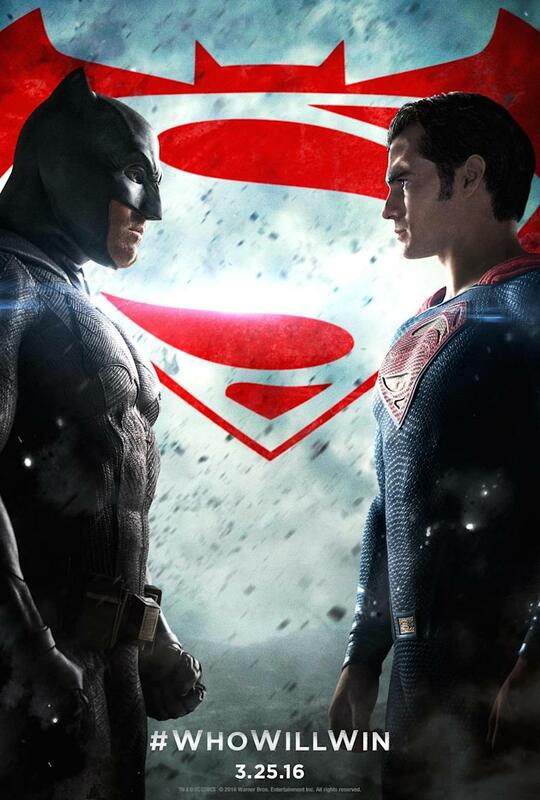 Also the final face off between Batman and Superman and Batman’s bulky suit seem to be a pretty odd choice. It makes an already bulky Affleck look even chunkier also we are never really in the clear if his suit is actually kryptonite infused or not. Also the conclusion of the Batman Vs Superman fight to finish had me snorting – like seriously that is why they stop fighting? Because both their moms are called Martha! But then there are some bright spots in the movie too. Gal Gadot as Diana Prince is smoking hot. In the hands of a good director the Wonder Woman origin story should be interesting. Henry Cavill as Clark Kent/Superman is perfection. The man maketh the suit look good. The knightmare scene while confusing and ultimately insignificant in the course of this movie shows promise of what the Justice League multiverse holds. Hans Zimmer’s music is great in spots and jarring and overbearing in others. He seems to not be able to find the fine balance that he did with Nolan. Overall it is not as bad as people are making it out to be. Yes it is overlong and entirely unresolved in terms of its main villain’s motivation. Ben Affleck needs to work on his Batman persona but isn’t entirely horrible. Gal Gadot is exciting as Wonder Woman and I cannot wait to see Jason Momoa as Aquaman but I would have preferred TV’s Grant Gustin as Flash than Ezra Miller because as much as I like Miller as an actor I don’t want a moody broody millennial Barry Allen. But in my humble opinion Snyder is the wrong horse to bet on to take on Disney and Marvel’s Avenger Multiverse. Give Nolan all the money he wants and the creative freedom he needs and green light his Howard Hughes biopic and let him take on the Justice League. Snyder will keep getting in the way of the story and the franchise will suffer unless you want to place Olay Shampoo in the Aquaman origins story. The story starts in the near future where science is all but forgotten, the school teach students that the Moon landing was a hoax perpetrated to bankrupt the Soviet Union and trained astronauts are left to plough the field for crop. This is the caretaker generation, struggling through dust clouds and crop blights to survive while staring extinction in the face. Through curiously encoded messages Cooper played by Matthew McConaughey and Murph played by Mackenzie Foy end up at NORAD a clandestine NASA mission run by the Nolan-regular Michael Caine playing Professor Brand. He asks Cooper – the best pilot they ever had- to join the mission along with his daughter Amelia played by Anne Hathaway, Romily played by David Gyassi and Doyle played by Wes Bentley. The mission is to follow 3 of the 12 previous astronauts who left our galaxy to travel through a mysterious wormhole to look for other planets which could be used to sustain human life. No more story-wise, lest I risk the spoiling of the surprises that are in-store. Nolan is a master of visuals. His association with Wally Pfisher was what elevated his movies to the next level. With Hoyte Van Hoytema donning the cinematographer’s hat I had a feeling we won’t be let down because he filmed the wonderful Her last year and made the future very accessible and believable. The visuals Van Hoytema creates of the inter-galactic voyage are stunning in their grandeur but as one wired article evidences they are also based on a very real scientific equations which Kip Thorne the theoretical physicist from Caltech collaborated on with the team behind interstellar. The wormhole, the blackhole, and the Endurance spacecraft passing alongside Saturn are all stunning in their detail and scale. Where the visuals however are let down are with the background score. Hans Zimmer who has provided very complementary scores for previous Nolan movies plays it too heavy handedly this time around. The loud klaxon based soundtrack takes away from the scene and makes it almost unbearable. A Clint Mansel or Alexandre Desplat score would have served Nolan better giving it the Kubrickian feel of using the classical compositions. With the thunderous riffs and booming drums of Zimmer the crescendos come quick and fast but there is no payoff visually or story wise . Nolan had me scratching my head when he announced that Matthew McConaughey would be the lead actor in Interstellar and my worst fears have come to fruition. Every time Cooper opens his mouth to speak out comes the stoner cowboy drawl that will dull anyone to sleep. Half the time his words are illegible and the other half just unbearable. He is unbelievable as someone who understands and can hold a conversation about quantum physics and he puts in no efforts to the contrary either. Anne Hathaway is still stuck being Fantine from Les Miserables and cannot seem to turn the tears out. If we had a whiny bio-physicist and a stoned out southerner to rely on to save the fate of humanity our chances look grim. Thats where the grown up Murph, Jessica Chastain comes in – she is the only one that manages to come across as someone with a sane mind but her interaction with her brother played by Casey Affleck make little sense. But my biggest grief is with David Gyassi who plays fellow astronaut Romily who waits on board Endurance when Coop, Amelia and Doyle go to the planet of the Tsunami waves. He ages 22 years when they get back on the spacecraft and I for one instance thought he was just hamming it to tease Coop and Amelia on the passage of time but he wasn’t and he had really aged and he acts really weird too, walks with a slouch and sounds defeated. The whole effect is jarring and not entirely believable. 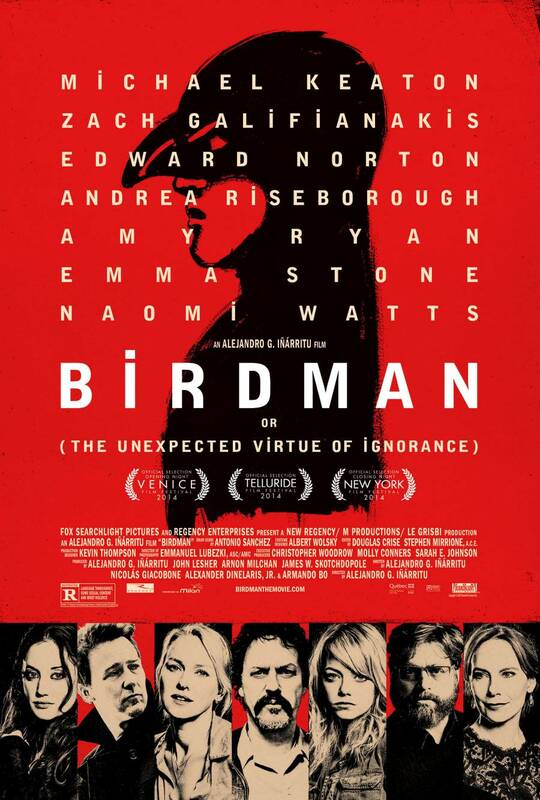 For a movie that is nearly 3 hours long there are key scenes which feel rushed and unresolved. The initiation of Cooper into the Save-the-humanity program, the travel to the different planets to find the data, the climax which holds the key to the human survival seem hurried and rough. If more time was spent on these, more technical aspects of what is essentially a sci-fi adventure it would have felt like the Nolan movie I have come to expect. Instead we spend an inordinately long time setting up the doomsday scenario in the first half with the dustbowl and the father daughter bond that will be Cooper’s driving force. Also once onboard the time spent whining about personal issues is almost juvenile and for Nolan standards unpardonable. Instead of Cooper and Amelia talking I would much prefer a lively chat between TRAS and CASE the two robots who are nods to HAL9000 from 2001 : A Space Odyssey. There is little doubt that this movie is not all that it could have been. A majority of the responsibility falls on the shoulders of Matthew McConaughey who I hope Nolan never collaborates with ever again. But this is still a Nolan movie it is big on Ideas and huge on visual impact. For a director who dares to take such huge risks and break away from the formulaic big-budget franchise movies it deserves a watch. It won’t redefine the sci-fi genre in the way that 2001 did. But like Inception it is an idea that needs to be explored and discussed and it makes the most complicated science easily accessible and it makes you think. And I want Nolan to break the bank on this one so he can get back to the long-gestating Howard Hughes biopic. 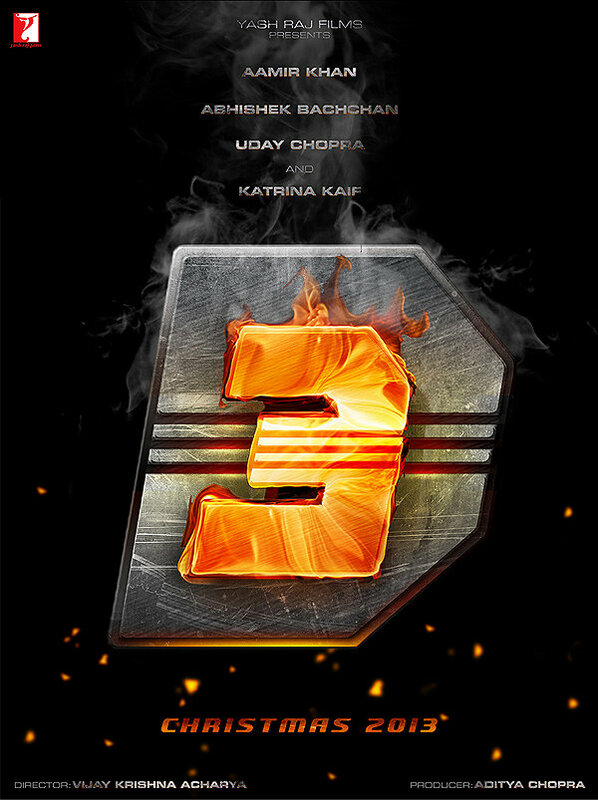 Vijay Krishna Acharya directs Aamir Khan, Abhishek Bachchan, Uday Chopra and Katrina Kaif in the threequel to the Dhoom franchise innovatively titled Dhoom: 3. He does not so much as direct them as he shows them snippets of various Hollywood movies and musicals and asks them to imitate those. Yashraj productions hasn’t been known to turn in quality cinema in many a decades now – but it still manages to make mildly entertaining fare which the Indian audiences and the Indian diaspora abroad lap up with enthusiasm . But with Dhoom 3 there seems to have been no effort made to make even a half intelligent somewhat original entertainment caper. The story starts off with a Illusionist like setup in a dim theatre aptly titled “The Great Indian Circus” with an aging Jackie Shroff putting up a show for the evil bank guys in shiny suits. Mr. Anderson (our knowledge of western surnames is limited to Mr. Anderson) isn’t impressed and orders for the theatre to be shut down so that he can auction it. Jackie Shroff does what every responsible father does – kills himself in front of his son Sahir, who we are introduced to as the Oliver Twist kid who dresses like Hugo in 1990s Chicago. Cut out of dream sequence and Aamir wakes up in a loft overlooking the John Hancockbuilding and looking mighty short in front of the imposing Chicago skyline (in my opinion the best in the world). Cut to The Dark Knight-esque bank robbery (of the same post office building) with a very serious looking Aamir walking down the building with the harness that is there one moment and missing the other. The chase goes from The Dark Knight with the underground chase to Aamir being cornered in the parking lot and coming out ala The Dark Knight Rises (the introduction of “The Bat”) and the dumbfounded cops of Chicago mouthing the same lines as those from Gotham’s finest “you are not going to believe this”. We can’t sustain this Hollywood inspired nonsense for too long we need to go Rohit Shetty on the audiences so cut to Amma Nagar where Uday Chopra is being held captive by a gunda in a shiny suit (see a trend?). Abhishek Bachchan enters riding a Rickshaw through a wall and drives it all over the roofs of the slum just like Bond does through Turkey in Skyfall. And the chase through the narrow lanes of the slums is also very Mombasa inspired from Inception. What happens then in Chicago where Jai is called in as the most famous Indian cop to solve the second robbery of the Western Chicago bank and the only clue being a “Joker Calling Card” and a scribbling in Hindi. What follows is a series of unimportant moments with the introduction of Katrina Kaif who serves no purpose in the entirety of the movie. And I am person with a very pro-Katrina bias and all through the movie she was nothing but awkward. The dance steps she was given were more suited to a person of a shorter frame and she was made to stand awkwardly to compensate for the height difference between her and Aamir. Entirely forgettable is what she was. The much touted 5-cr song Malang is nothing but a mish-mash of different Cirque Du Soleil routines from their various shows. The big reveal is again Nolan inspired and is almost predictable if you have been following the various Nolan references that are so on the nose that you almost see a Prestige coming. There is a war-of-the-khan as it was that rages on between two rabid fan-bases the Aamir fan boys and the SRK fan boys. Those in the Aamir camp would be happy to note that this khan does a more convincing job of playing an Autistic/Asperger symptom showing prodigal genius than SRK. Aamir shuttles between looking constipated when the director’s orders must’ve been to look serious and mean and between a cheerful childlike persona which he does capture very well. Another positive is the child artist who plays Aamir as the young Sahir – now there is one child artist who does not make me cringe and that is saying quite a lot! I hope the young start gets more roles as he is really good. The music is forgettable, the sets are recycled, the camera work while slick serves is quite indistinguishable. Aamir’s Tap dancing is so shoddy it shouldn’t be allowed to be screened to public. At one point I felt like patting Aamir’s head as one would to a precocious child ( because hitting a child is not allowed) when he goes “ look I can act serious and stuff” , “look I can tap dance”, “look at my big muscles” alright child go away enough is enough is enough. I went in expecting to hate the movie and on that front it didn’t disappoint. It is a generic recycled unintelligent mess with more plot holes than I cared to count. Katrina is wasted and not even given enough screen time to sit and look pretty. Uday Chopra is Uday Chopra, and Abhishek Bachchan is one note. Aamir is part impressive (a very small part where he plays the autistic persona) and part annoying and grating where he plays Sahir. Watch at your own peril!